Omiš is a small town in the heart of Dalmatia, at the mouth of the river Cetina. It is located 21 kilometers southeast of Split's largest Dalmatian town. 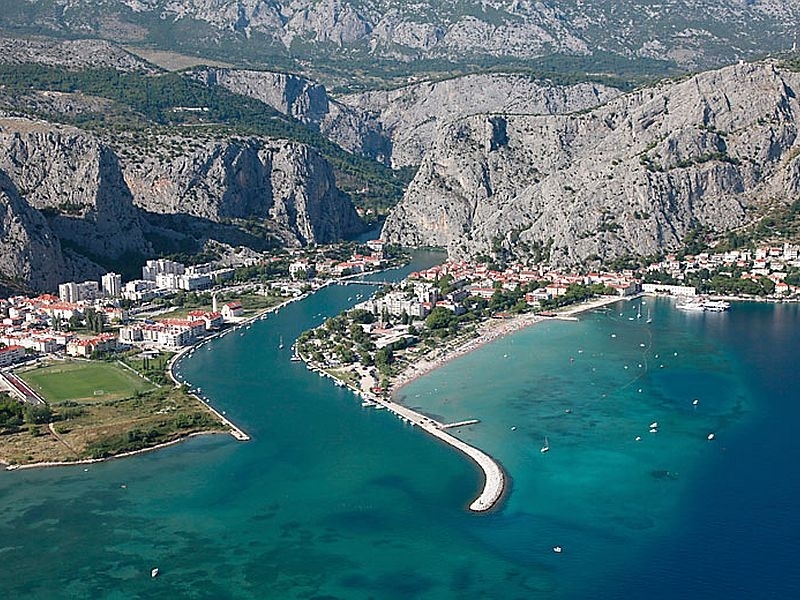 The area of ​​the town of Omis extends from Duľa to the west to Brela in the east known for its beautiful beaches. The borders with the municipalities of Dugi Rat, Dugopolje, Trilj, Cista Provo, Šestanovac, Zadvarje and Brela and with the City of Split. Sinai is part of Omis, which lies along the western coast of the Cetina River, all the way to its mouth to the Adriatic Sea. In the past there was a well known pirate base, and pirate history portrays the town fortresses Mirabella (Peovica) and Starigrad (Fortica). 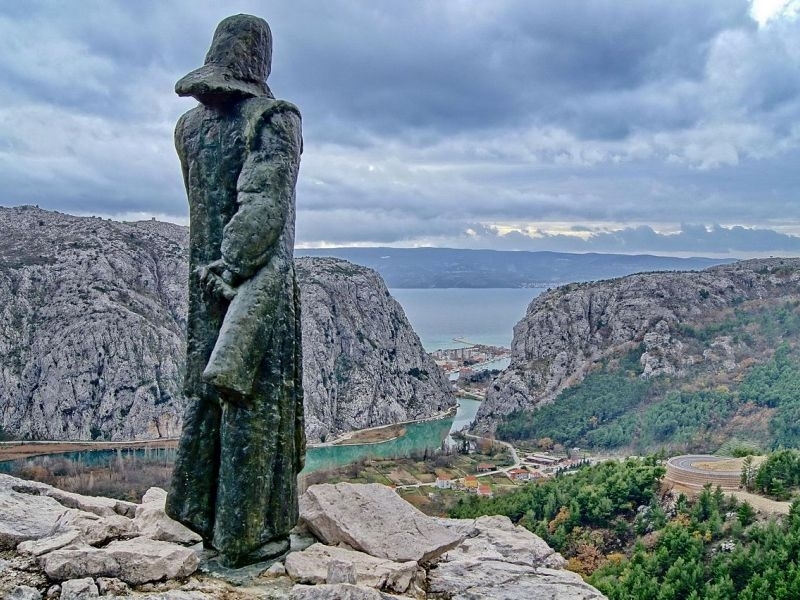 The whole of Omis can be seen from Pećica, and from Fortica the whole of the Brac Channel, the islands of Brac, Hvar and Solt, Middle Poljica and the mouth of the Cetina River, which was very important for piracy, because a large area on land and sea could be monitored from one place. 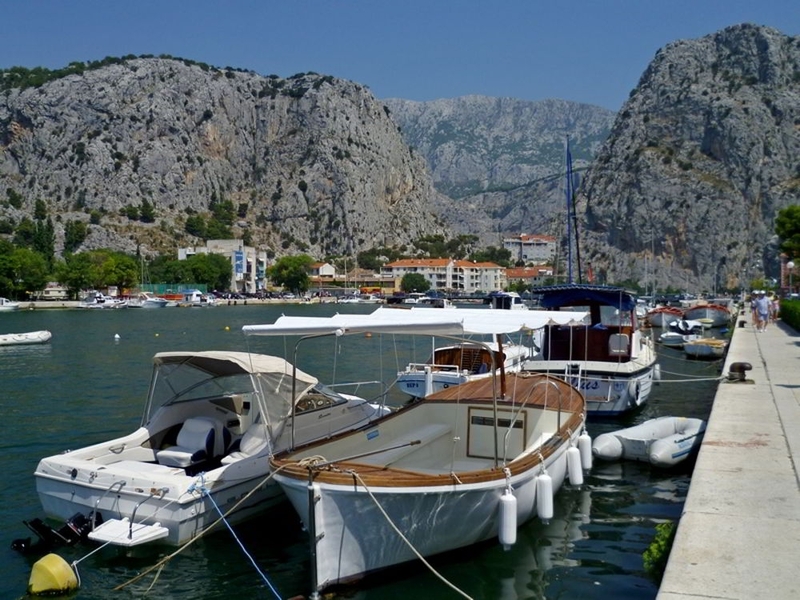 Next to Omis are Radman Mill, a natural park on the river Cetina, popular among the local population and tourists. If you want an active holiday with rafting, peintball, klajming, etc. Yours is an ideal place for you.